Quench your thirst with BCAA Drink — packed with amino acids, B vitamins and caffeine to provide that perfect pick me up, anytime of the day. Plus, it’s zero sugar, contains no carbs, and comes in refreshingly fruity flavours. It’s also bursting with vitamins B6 and B12, decreasing fatigue so that you’re on top of your game.3 Whether you’re looking for a pre-workout boost or a super-energising coffee alternative, this is the ideal choice. 2. Caffeine contributes to an increase in endurance performance, and is proven to increase alertness and concentration. 3. ​Vitamins B6 and B12 both contribute to the reduction of tiredness and fatigue. When to enjoy BCAA Drink? Refresh, refuel, and recharge after training, or enjoy any time of day for a BCAA boost. 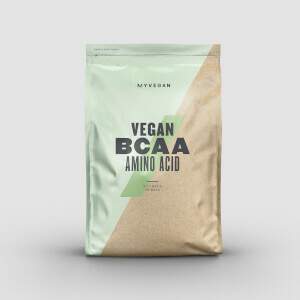 What to enjoy BCAA Drink with? To help you break barriers and get to your goals while also satisfying your sweet tooth, add THE Carb Crusher — our ultimate high-protein snack. Contains 180 mg caffeine per serving. Not suitable for children, pregnant women and persons sensitive to caffeine. Do not exceed the stated recommended daily dose. This product should not be used as a substitute for a varied, balanced diet. Keep in a cool dry place out of direct sunlight. Suitable for vegetarians and vegans. Carbonated drink with added Branched Chain Amino Acids BCAA 2:1:1 (L-Leucine, L-Isoleucine, L-Valine), L-Tyrosine, Vitamins and Caffeine. Mixed Berry Flavour with sweetener. Food supplement. 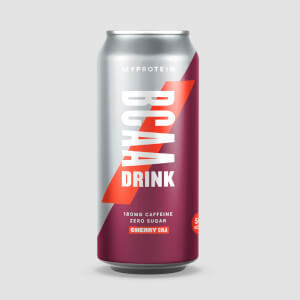 Carbonated drink with added Branched Chain Amino Acids BCAA 2:1:1 (L-Leucine, L-Isoleucine, L-Valine), L-Tyrosine, Vitamins and Caffeine. Cherry Cola Flavour with sweetener. Food supplement. 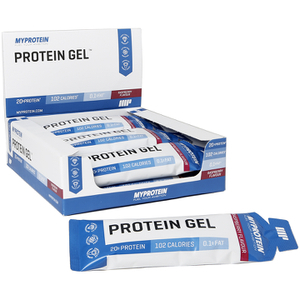 This is great when you don’t want your normal BCAA powder, feels like a treat, tastes just like cherry cola! Mixed berries tastes amazing. Good job MP! These are delicious. I had a couple of these pre-night out when I wasn't drinking for a few weeks and they are so delicious it's like a cocktail, +the caffeine helped! Great post workout for convenience too. Cherry coke flavour taste is terrible barely could drink it, definitely needs some work doing to it. Great taste works well and great service. Slightly expensive but worth it. Ordered the cherry cola flavour and it tastes amazing. Granted a bit expensive as I usually have sugar free monster but these are lovely and NOT too fuzzy. The berry one tastes great. I have great energy from it without feeling jittery like I do with other energy drinks.